La Parrilla? Why? 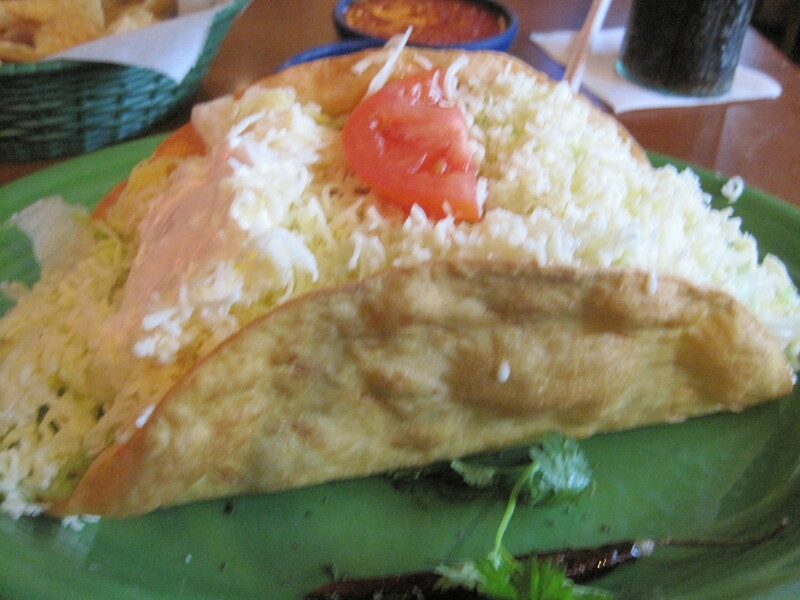 Because there are days when only a Taco Loco will do. La Parrilla is a local chain, about 100% Atlanta Tex Mex at lunch, Speedy Gonzales, #1s and #2s, warts and all, and with a few more options at dinner (tacos de camarones, carnitas, etc). 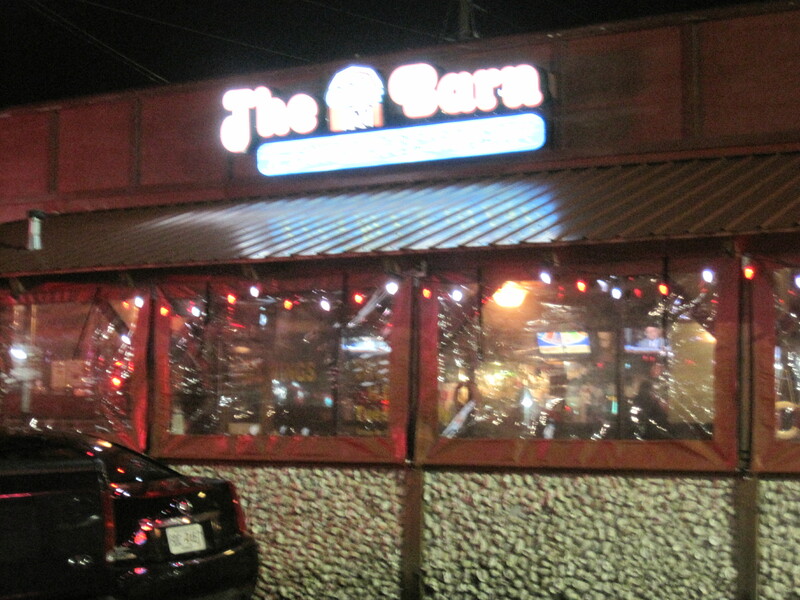 There is a La Parrilla in the Forum on Peachtree Parkway, next to the Barnes and Noble. 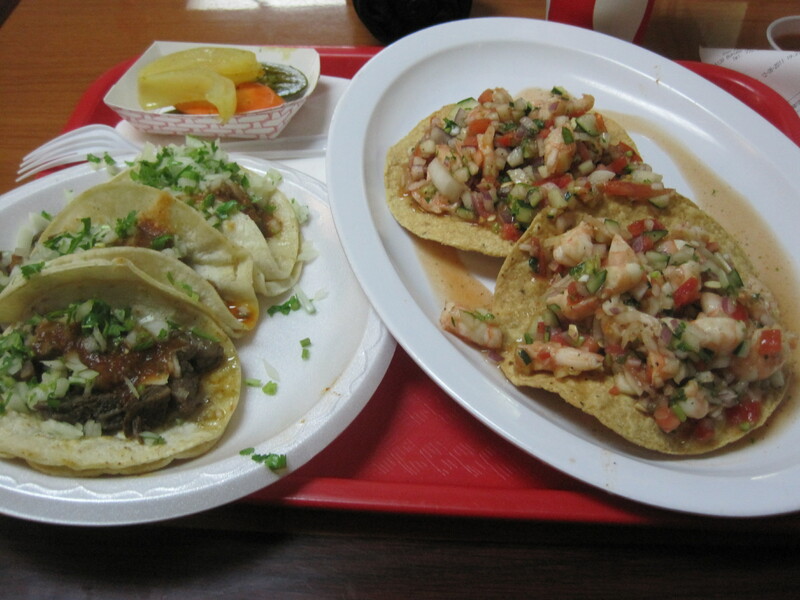 And yes, though Atlanta Tex Mex is about as authentic as are buffalo wings — show me a buffalo with wings, please — their Taco Loco is a damned good one. Some of the best things I’ve put in my mouth over the past couple months are the Cornish Kababs at Baba’s Gyro and Kabab, the Norcross version. Tender, flavorful, they make you realize the mild taste of chicken can be supercharged in the right hands. 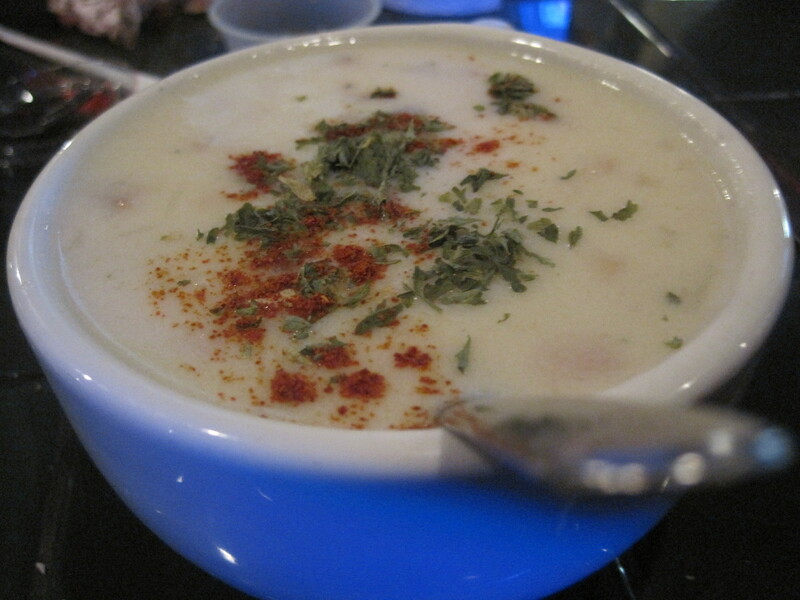 Don’t be surprised if the manager drops a small shaker bottle of sumac by your plate. He surely did mine. The day I showed I arrived just after a lunch peak, and the place was packed. It has wifi, and people were there with laptops, working remotely. Prices run into the low teens for the more interesting lunch entrees, but don’t let that stop you. There is a world of flavor here. Note: Watching tweets here on a Kindle led me eventually to be interviewed :-#. Whether that interview ever sees the light of day, I’ll probably never know, but in the voice of Yoda, cool that was. 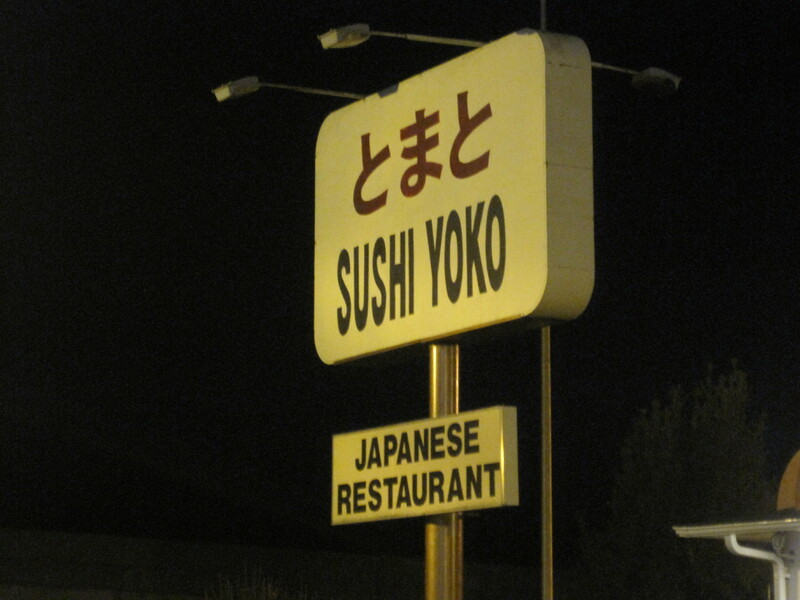 Sushi Yoko is on the right as you head north on Peachtree Industrial Boulevard, a tan to yellow building below the afternoon commuters. You need to exit at roughly the Tilly Mill Road exit to get to this eatery, as there are no exits immediately by this place. Inside, it has booth seating and a sushi bar, and is a little more cramped than you might expect, because this same building houses the Japanese store Tomato. 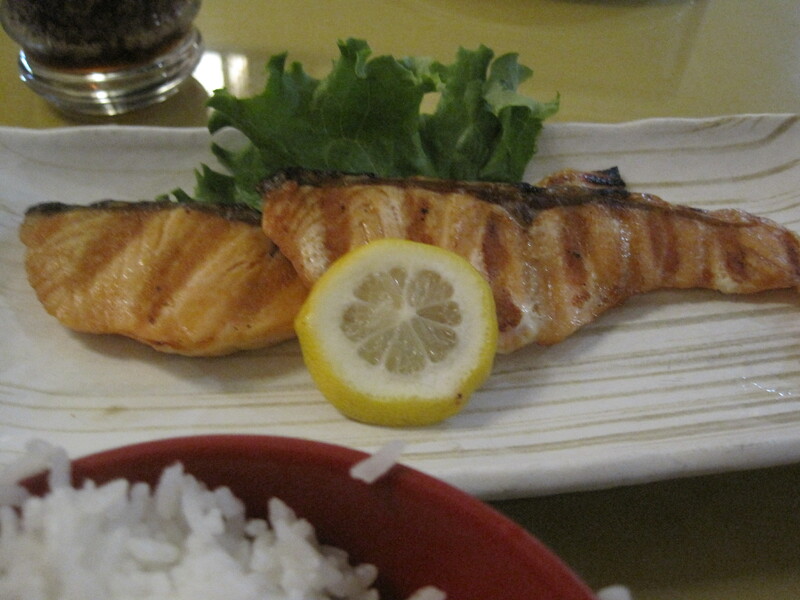 Sushi Yoko features largely authentic fare, no teppanyaki to speak of, and has inexpensive eats, as a J place goes. Comments that it’s a good lunch spot ring true. These days a lunch single runs about 7 dollars. 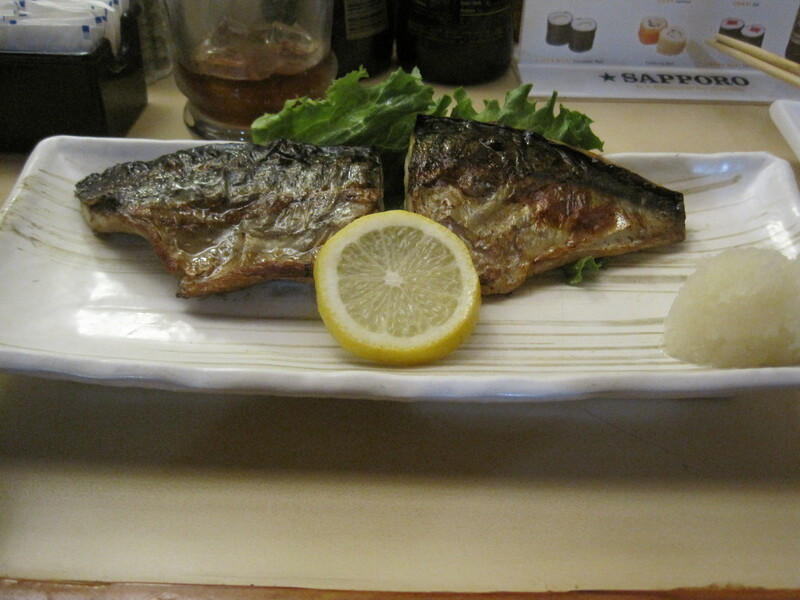 The shioyaki here is a good bet, tasty and fresh. 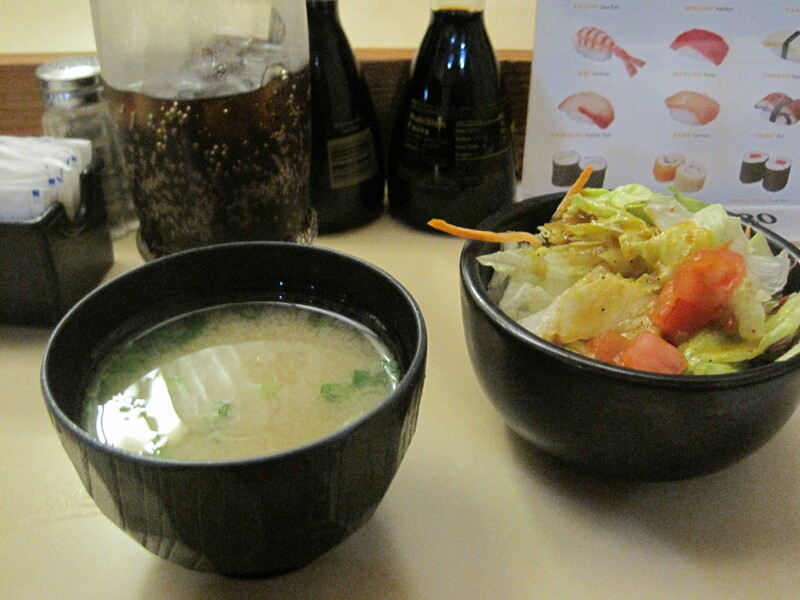 They also serve a generous bowl of tsukemono. But it was Tomato that we were most suprised by. My wife is in love. It fills a niche that disappeared when Books Japan closed, though it’s more a grocery and general store than truly a book store. 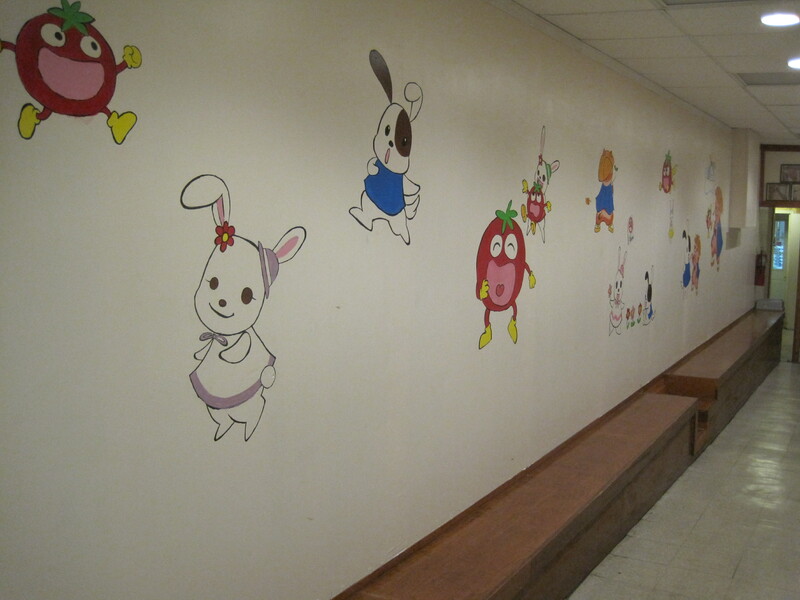 Pretty art fills the walls as you approach both shops, and both indeed are recommended. 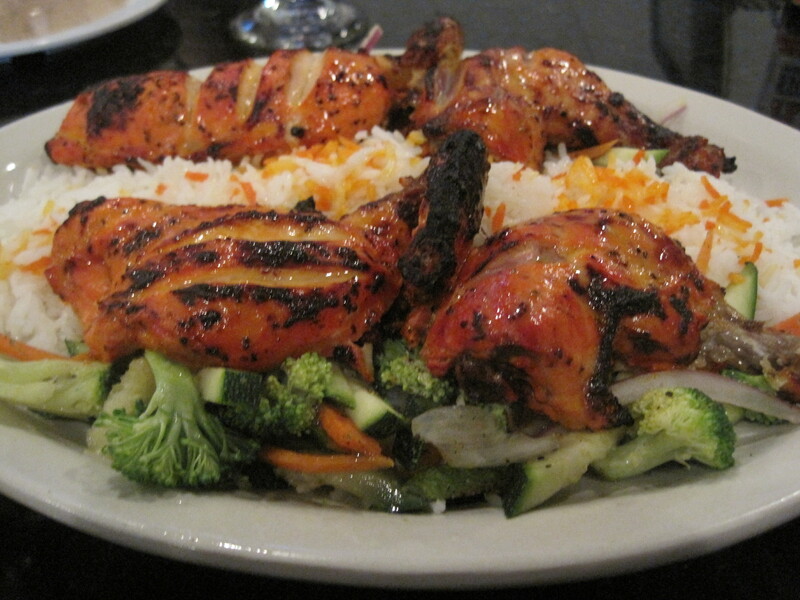 Dalia’s Grill is a Mediterranean restaurant, found roughly at the corner of Peachtree Parkway and Holcombe Bridge Road. 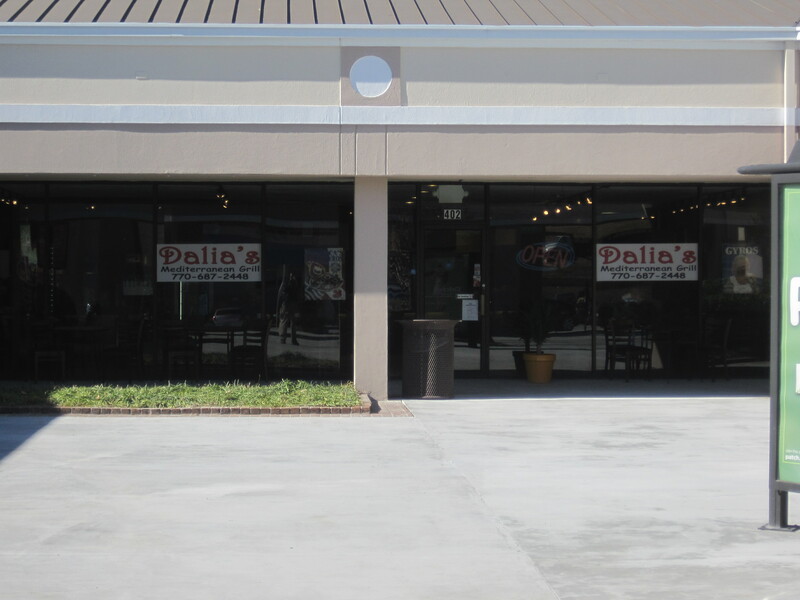 The strip mall in which Dalia’s is found has things like an IHOP and a Chik-Fil-A, and is opposite a Target and Publix. Dalia’s is not that easy to see, but if you can find the sign to a local Mellow Mushroom, then walk under the sign. Dalia’s will be right in front of you. This restaurant has something of a history in the Atlanta metro area (see here and here), having been preceeded by Joha Grill and a version in Alpharetta. I recall trying Joha Grill, and the same older man who cooked kababs at Joha is definitely manning the burners here. Just, this time, he has substantially more help. 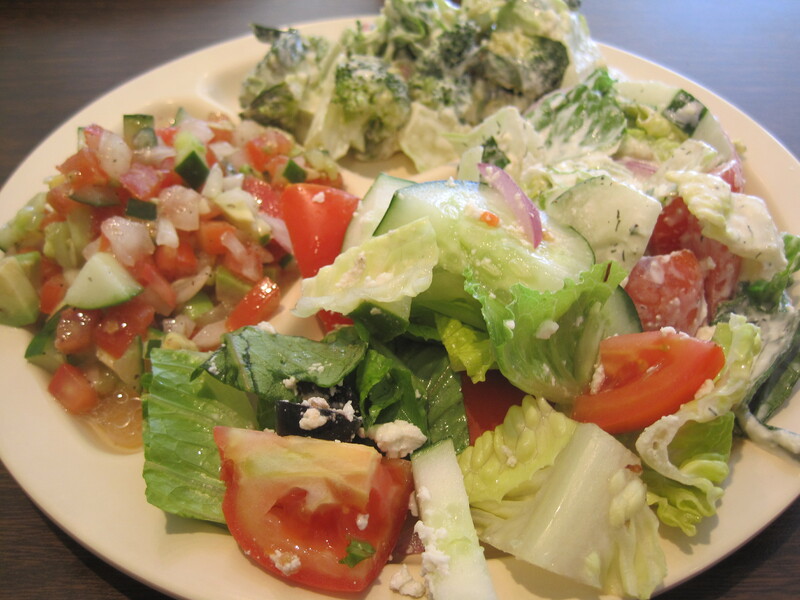 Meditarranean cuisine, with its emphasis on meats and vegetables, fits well with what I can eat. I can control the amount of carbs I eat, and I don’t have to eat a lot of carbs to have a meal. That said, the family that runs Dalia’s has a knack with chickpeas. Their falafel is well respected, and the spices they threw into the chickpeas I had were notable. Also notable that day was the lamb shank special they served. 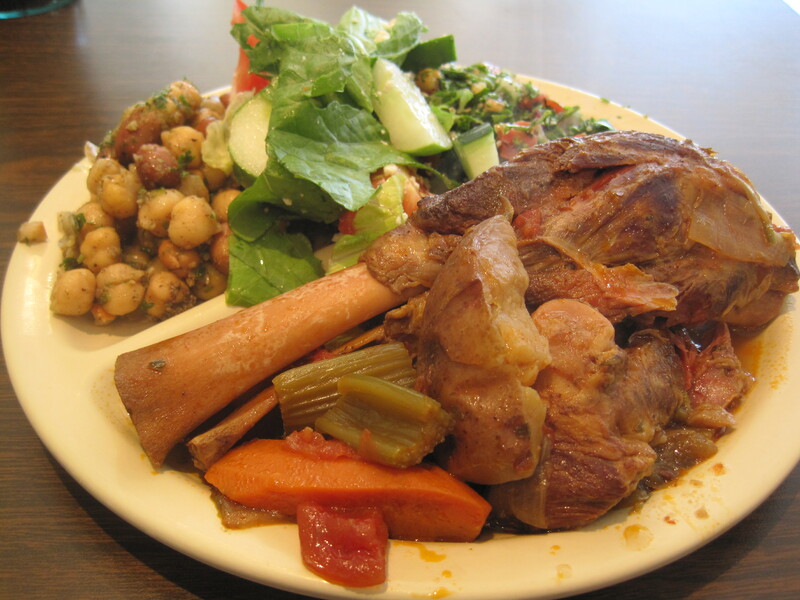 Dalia’s is good with more exotic meats such as lamb, the rich selection of salads, the choice. You can eat fast here, by grabbing a couple of salads – they’re laid out almost buffet style – or you can take your time, let them grill your meat and have a kabab or gyro along with some green veggies. 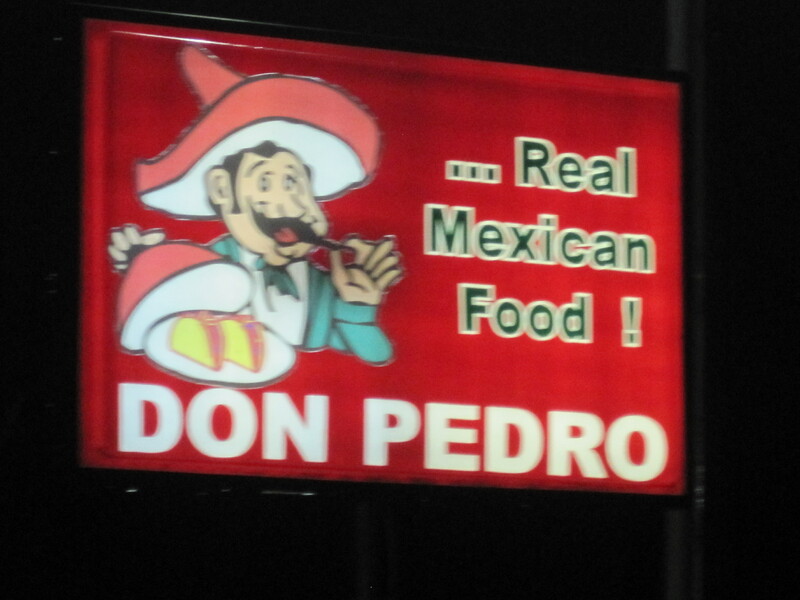 Recommended, a true Atlanta original. It’s a Cheers like bar and eatery on Beaver Ruin Road, near Lawrenceville Highway. The rusty brown paint and red brick of the building is hard to miss as you’re traveling east, commuting home. If it were just a bar, I probably wouldn’t have cared, but beer and seafood is an entirely different story and made it worth a stop. 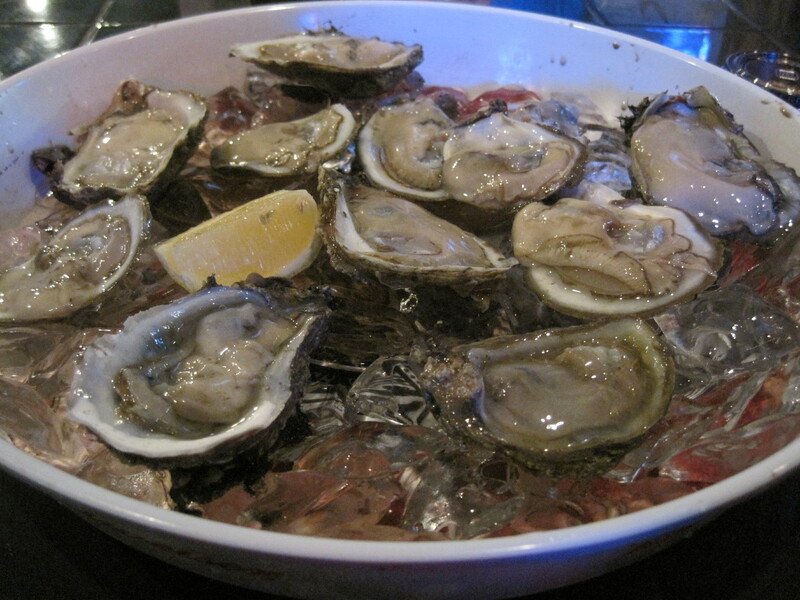 On Wednesday they have half price oysters, and I managed three dozen before I shifted to a salad and some of their clam chowder. Also on Wednesdays, they do trivia. Clientele are friendly, as were the bartenders. 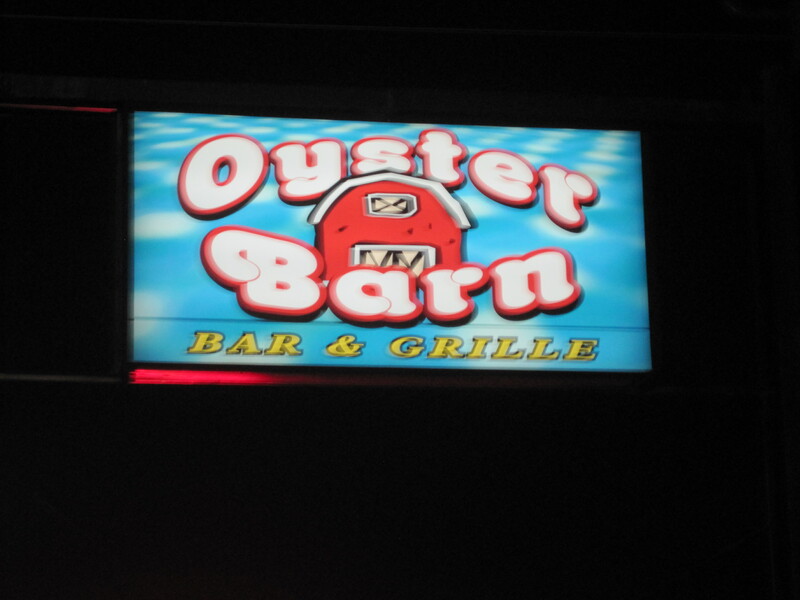 If you’re looking for a neighborhood bar in the Lilburn area, this one qualifies. Two thumbs up from this food fan. 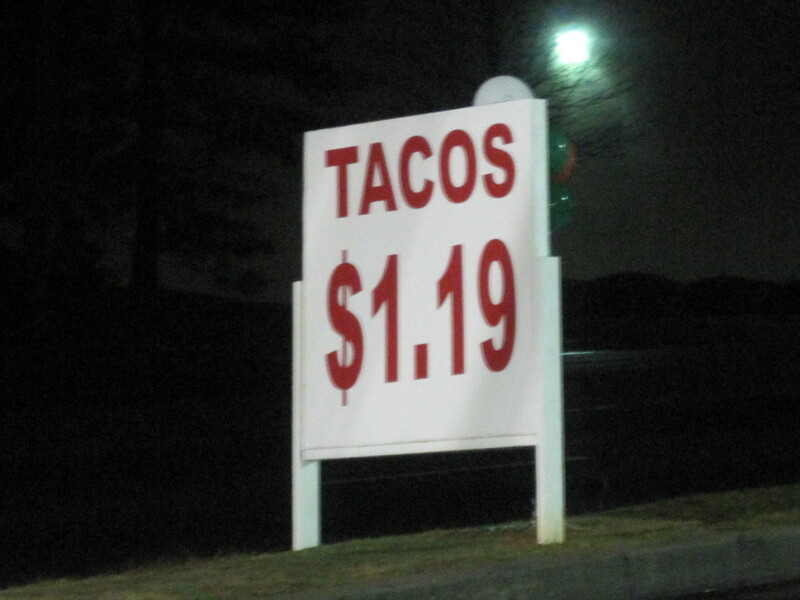 The taco sign, $1.19 each, catches your eye, but the tostados de camarones are the winner here. Warm fresh corn, tasty enough to tempt a diabetic anchors this shrimp salsa cruda. Authentic, down to earth, and yes, highly recommended, especially if you have to eat a lunch or dinner for less than ten dollars. Grouchy’s is about half a block south of the Forum on Peachtree Parkway, the second of two in the city (the original is in Alpharetta). It’s an easy building to see, on your left as you’re heading north. I was hoping it had wifi and I wasn’t disappointed. 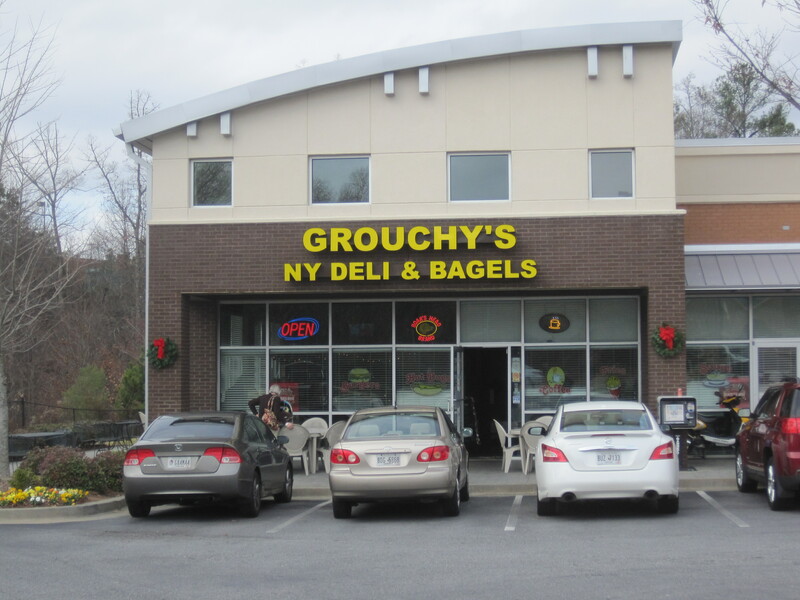 Besides that, some nice sandwich choices, of which their signature Grouchy’s was a good fit for what I liked. It’s a smaller sandwich than the delis on Broadway in New York City, but you don’t pay 12 dollars for it either. 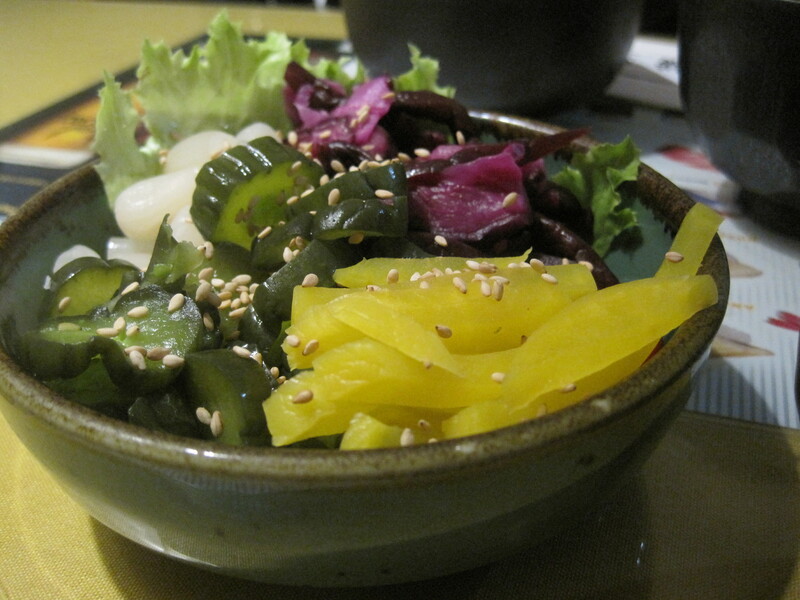 You have the choice of plenty of sides and several breads. If sourdough isn’t to your liking you can get many others. 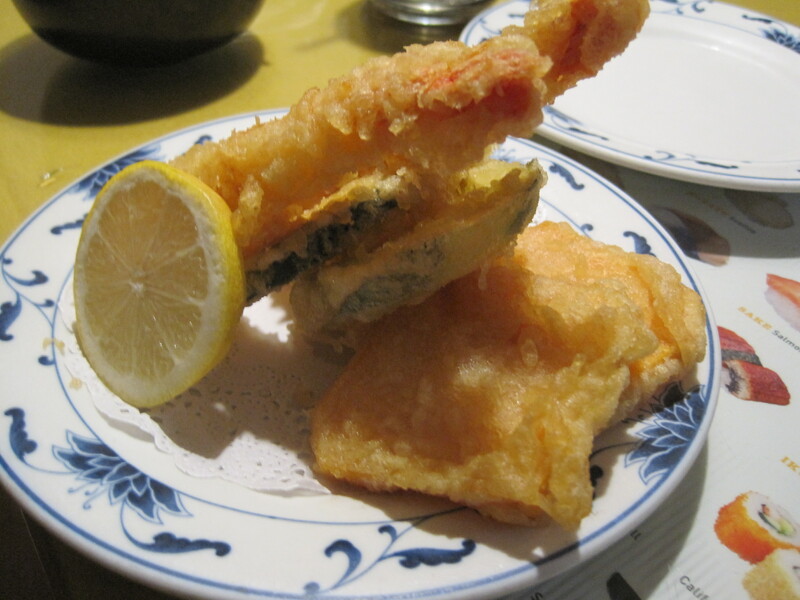 The meat quality was good, very thin sliced and tender. The slaw was a few bites of vegetarian goodness. The look inside? Plenty of chairs, large photos on the wall, things like black and whites of a young Frank Sinatra. 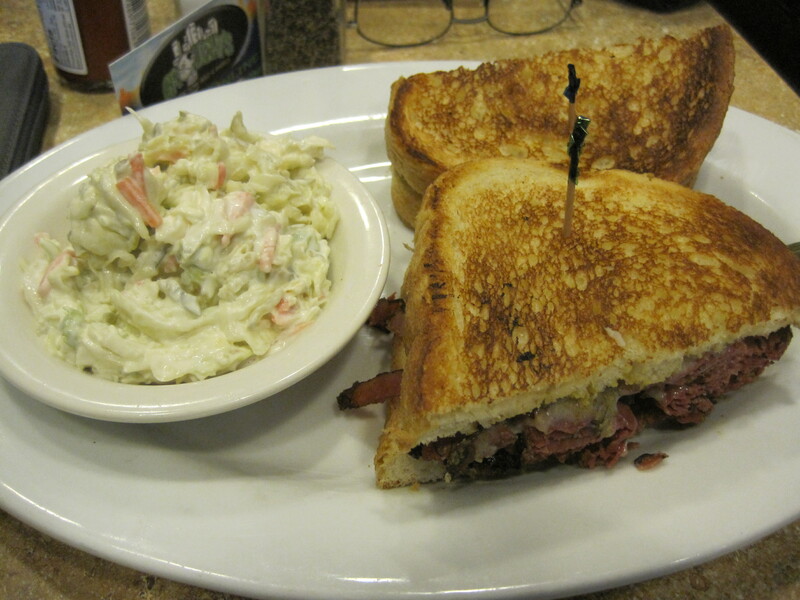 I like it, I recommend it, plenty of flavor in the sandwiches, and costs are reasonable.